Car owners with chronic car envy regularly trade in perfectly good vehicles for newer, sexier models. They never mind making car payments. Other car owners are either hopelessly sentimental or frugal to a fault. They drive unsafe, unsightly money pits on wheels until the transmissions fall out. It’s nice to quickly pay off a car and prolong its life with careful maintenance. With an aging car, though, trading in might make better financial sense. The low interest and generous rebates on new cars are tempting incentives. It’s tough to know when to kiss your car goodbye, but here are 10 telltale signs that it may be time for a change. Car troubles prevent frustrated drivers from making it to work, arriving at appointments on time, and getting kids back and forth to school. If you and your car are experiencing regular breakdowns, you know how terrible it is to be surprised by a car that won’t start. Frequent breakdowns and malfunctioning parts are not only expensive and inconvenient–they’re dangerous. The risks of getting stranded in the middle of a busy road or struck by a distracted driver while checking under the hood are very real. Unlike fine wines, cars don’t improve with age. More things will start to go wrong, and more of your time and money will be spent at the repair shop. New cars are expensive, but you can’t put a price on dependability and peace of mind. Even cars with fairly low mileage need maintenance, whether it’s new tires, tune-ups, and or a fresh battery now and then. These are reasonable expenses for cars that still have a high trade-in value. When car repairs drain your budget month after month, however, it’s foolhardy to keep paying for them. Do the math. 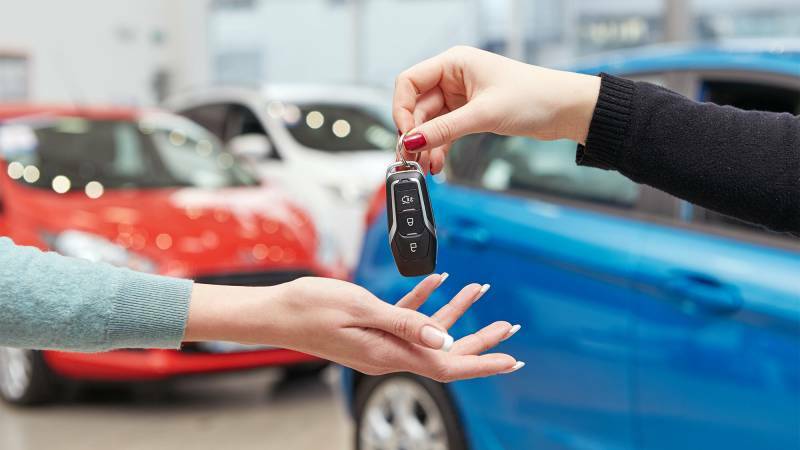 If the cost of repairs exceeds the car’s value or a year’s worth of car payments, you’ll save money in the long run by upgrading to a newer model. Additionally, the warranty on a new car will give you at least three years of breathing room before you have to pay for repairs. Free routine maintenance is another perk that now comes with many new cars. A car that’s made it into six digits on the odometer is something like a 40-year-old pitcher in the major leagues. Their rotator cuff is bound to blow at any time, and their days are numbered. You may not have a car payment, but you can expect to start shelling out cash regularly for hoses, axle boots, and brake rotors. You can also count on needing a new timing belt, and you’ll probably be advised to replace the water pump. Expenses can mount into the thousands–and all you’re doing is extending your car’s life by a few meager months. Are you prepared to keep investing in something with that kind of mileage? In baseball, a pitcher in similar shape would be shrewdly traded. New cars are more fuel-efficient than ever. Even 5-year-old models lag far behind their late-model counterparts. Older cars are far less efficient thanks to their now-outdated technology, but they also begin to require more frequent fill-ups as they age. As the engine faces more wear and tear, the car starts sucking up considerably more gas, leaving you to fill the tank more often. If you’ve got a gas-guzzler, read up on newer cars to compare mileage estimates. 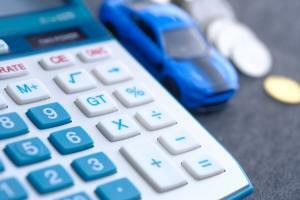 Your car payments may be steeper, but it usually costs money to save money. Remember, too, that the savings will add up as you hit the gas station less often over the lifetime of a new car. Everyone shares responsibility for a healthier, more stable environment. So, drivers whose cars are spewing pollutants into the air are increasingly unpopular on American roadways. This is why your state’s regulatory agency requires frequently and regular emissions testing–if your car fails, it’s considered a danger to society. There could be a simple reason, such as a clogged air filter, for failing an emissions test. However, a car that repeatedly fails smog tests has more serious and expensive problems. The manufacturer could be at fault, but it’s more likely an exhaust leak or internal engine problem such as a fuel leak. Issues like these don’t just pollute the air. They impact fuel efficiency and overall performance. Even worse, something like a fuel leak could endanger your life. Perhaps most seriously, many states won’t allow you to drive a vehicle that fails emissions tests, meaning you have to make the choice to spend hundreds of dollars on repairs or buy a new car. If you’re filled with dread when you drive, you either need to have repairs done or trade in for a safer car. Faulty brake lights could get you rear-ended. Worn brake pads or a broken seat belt could get you killed. That “check engine” light could be the first hint of engine failure. If your car’s warning systems are perpetually crying wolf, you won’t have a clue when something genuinely goes wrong. It should go without saying that you must be able to literally toot your own horn. Malfunctioning or outdated safety features can result in injury or loss of life. Why take the risk of causing an accident? A new car is the safest choice, and it could save you thousands simply by keeping you out of danger. The older your car is, the more repairs and replacement parts cost. If your insurance rates creep up for seemingly no reason, it’s a sign of trouble. Insurers also get nervous about the absence of modern safety features. 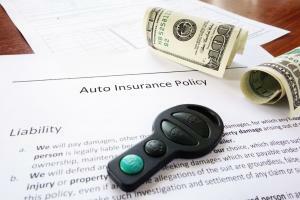 Older model vehicles become increasingly more dangerous and costly to insure. After all, it’s your insurance company that will have to pay if things go haywire. If no one’s taking you up on your offer to be the designated driver, it might be a sign that you need a new vehicle. A shabby car interior negatively impacts both its value and your popularity on Saturday nights. It’s not just your friends who are grossed out by the state of your vehicle. Food and drink stains, torn upholstery, or smoking damage could cost you thousands of dollars at trade-in time. You’d be wise to spend a few hundred bucks refurbishing before you take your car to the dealer. Rust isn’t just an eyesore. It spreads quickly and compromises the structural integrity of a car. Just ask anyone whose front floorboard has ever collapsed. Worst of all, rust can’t be repaired. It’s a good idea to start shopping for a new car when you notice the first spot. While rust is an unsightly detail, the sound your car is currently making can also indicate a problem that’s less visual. Are you turning up the radio to drown out your car’s ominous noises? Pings and rattles don’t eventually disappear; they tend to become more frequent as cars age. 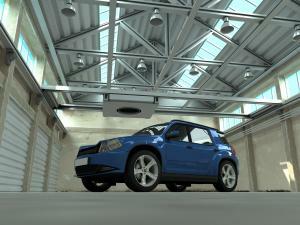 Appearance and sound indicate the overall health of your car. Gradually declining health should be a wake-up call to trade up. Sometimes, a car in prime condition just don’t work anymore. It might run perfectly fine, but no longer suit your needs. You might change jobs to one that requires driving clients around town. You’ll want to exude success. Maybe you had your first baby, and your two-door sedan is suddenly a challenge. Or perhaps your knees aren’t what they used to be and you need something that’s easier to get in and out of. Make life easier by buying a new car that better fits your lifestyle. These are all good reasons to trade in your current car for something more suitable–even if your car is in good shape. The car you drive has great bearing on your productivity, flexibility, ease of life, and overall happiness. Why not drive a car that better reflects and represents you?